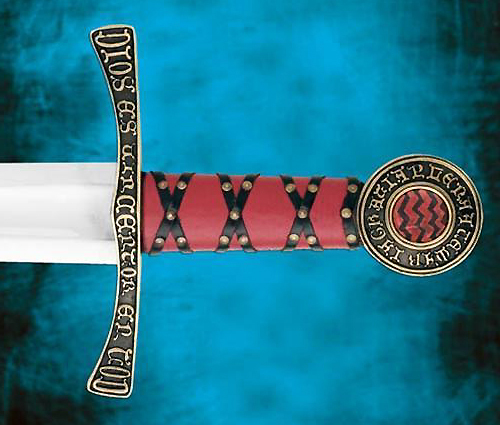 The original of this magnificent sword can be seen in Madrid at the Institute del Conde de Valencia de Don Juan and is referenced in many of Ewart Oakeshott's books as a supreme example of a Type XII sword. 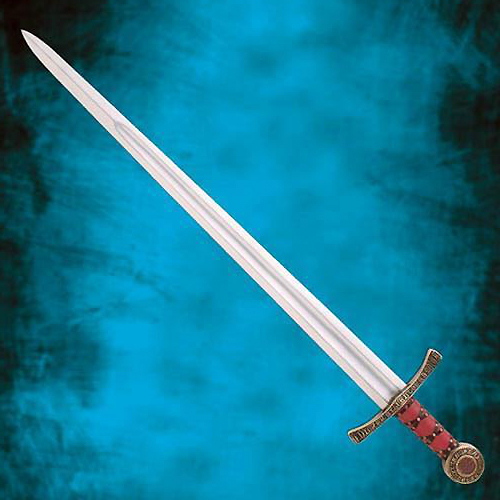 Dr. Oakeshott aptly describes this sword to be "as sweet and well-balanced in the hand as it is beautifully proportioned". 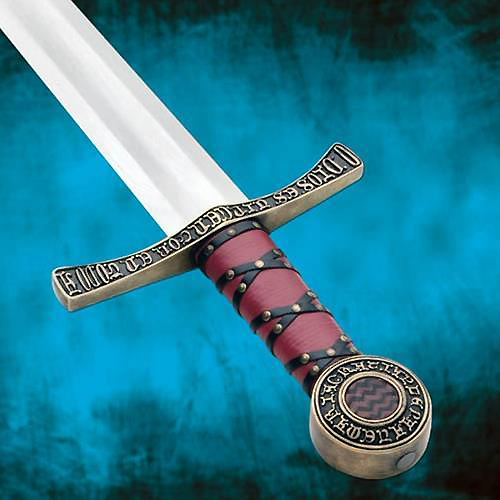 The tough 1085 fully tempered high carbon steel blade is full tang and with a peened pommel. The fittings are intricately cast brass with an antiqued finish, and the pommel is inset with red/black wave patterned leather. 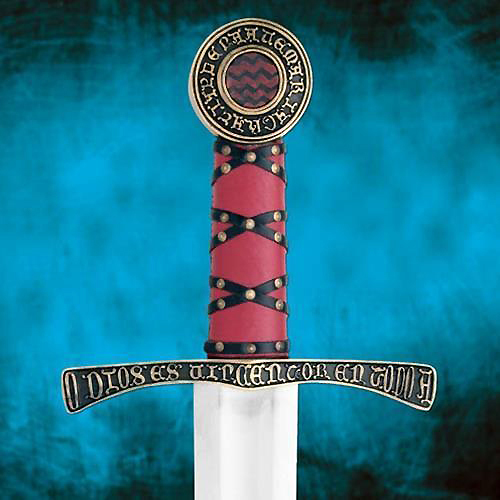 The Latin script around the pommel reads 'AVE MARIA PLENA GRATIA', and the cross guard has 'DIOS ES VINCENTOR EN TOD' on one side and 'O DIOS ES VINCENTOR EN TODO A' on the other. The grip is wood covered in rich red leather cross-hatched with black leather strips and brass tacks for an unerring grip. 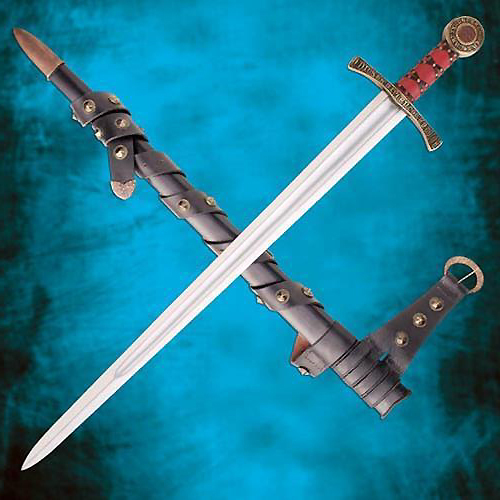 This magnificent sword includes a heavy scabbard with a long belt set with solid antiqued metal fittings.